Stop. Take a moment, take a breath...a deep one. Now begin counting your blessings. We don't often do that. I am, by nature, a grateful person. I appreciate the little things...the smallest gifts, like the dirt, and the first flowers springing to life. I'm grateful that I grew up the way that I did because it molded me into the woman that I am today. I'm grateful for my grandmother who taught me that a little goes a long way and that life is not about 'having'. So I find less reason to complain. When I look in my pantry and wonder where all of the food has gone; I'm thankful because I have the money to replenish it. When I get in my car and drive down the street; I'm undeniably grateful for the fact that I have that luxury, and that I don't have to walk everywhere because there are no buses in my city. Everyday is a new one that abounds with life, light and spirit. When I was growing up in Jamaica, we always awoke to the sounds of the rooster crowing and the beautiful sunrise. We were surrounded by the sounds of nature's music, and boy did it sound good. We found reason to smile in the midst of struggle, and our spirits were resolute. I will never become lost in this world. I will never be driven by greed and power, and I will always find a way to uplift the poor and forgotten. Let's attempt to find less reason to complain and more reasons to be thankful. Remember that our people are suffering all over the world because of greed and carelessness...and always remember to give, however you can. -Selah "Let those with eyes see and with ears hear." 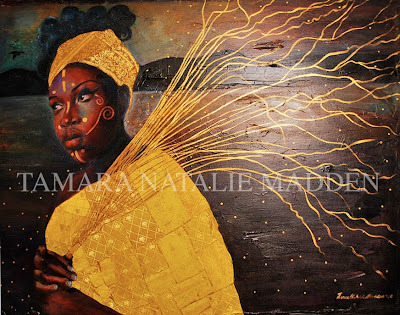 "Lamentation pour Haïti," a mixed media painting created specifically to offer fans of Tamara's artwork an opportunity to help the people of Haiti. A Caribbean woman and individual concerned with the human plight in general, Tamara was particularly overcome with grief by the initial and ongoing devastation and suffering in Haiti. Moved by the COUNTLESS children suffering as a result of injury, loss of parents, family, limbs, and life....she decided to donate to Save the Children, an internationally recognized charitable foundation with a current, specific focus on the urgent and long-term needs of Haiti's babies and children. 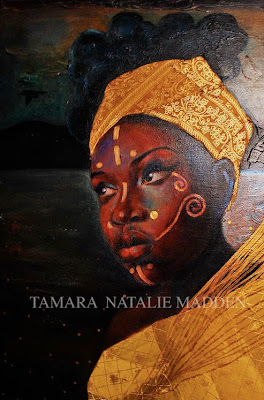 Many people love Tamara's work and would love to own it, but often say it's unaffordable. 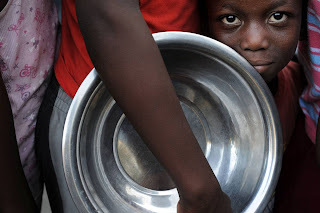 Just like many of us want to do *something* to help Haiti's inhabitants. Here's a perfect opportunity to do both at once. 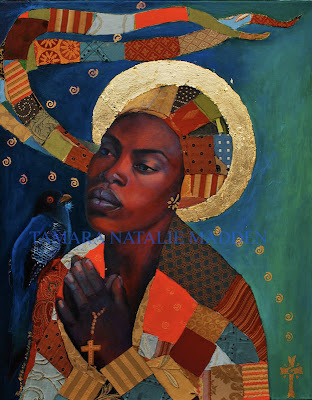 50% tax-deductible, signed, numbered, limited edition (of 300) prints of "Lamentation pour Haïti," are available now in two sizes: 11" x 14" ($50) and 16" x 20" ($100). They are printed on hahnemuhle photo rag paper (300 GSM weight). 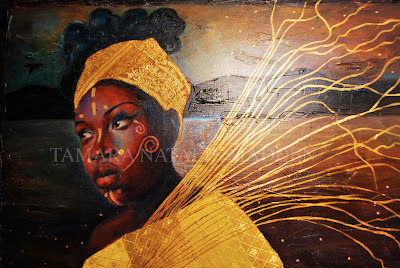 Contact Tamara directly (with your address and phone number) at thearttist@gmail.com to purchase your print today. All payments will be processed through Paypal. Shipping not included in purchase price. Last piece of '09. Please forgive the glare and blurred image. I was having difficulty shooting this.